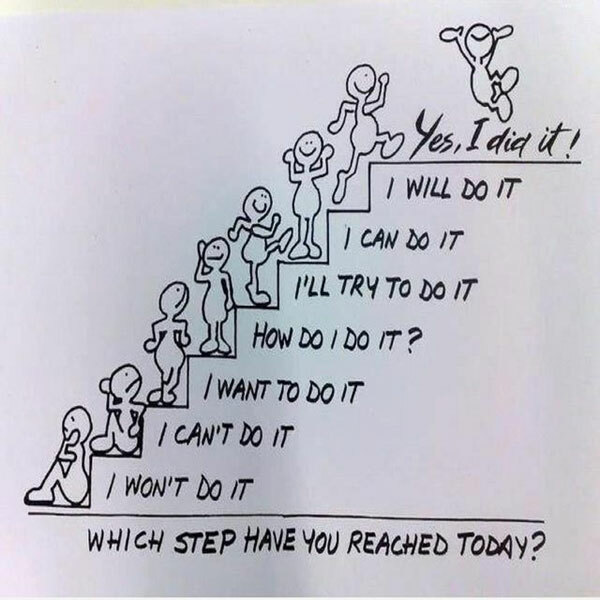 Positive Quotes About Life: Which Step Will You Reach? Home FamilyPersonal	Positive Quotes About Life: Which Step Will You Reach? A positive, Motivational Monday quote to get the week started out right? Yes please! Here’s a great quote about life and the will to keep climbing the staircase of success 🙂 Which step will you reach today?